The working holiday visa is an amazing opportunity for a young person to travel to New Zealand and work their way through our great country. However, one year is pretty short. When the travel bug tickles it is hard to quiet it down. To help you choose your next destination we have made the list of all the countries with a working holiday scheme. Bear in mind that each country has different requirements; from country of origin, age, education and much more – this is merely an informative list. 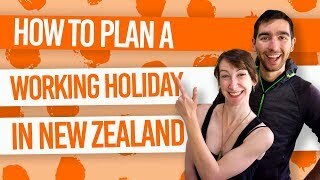 To remind yourself of the New Zealand working holiday requirements, check out WorkingHolidayNewZealand.com or if you want to spend more time in New Zealand, see How to Extend Your Working Holiday Visa. Australia and, of course, the wonderful New Zealand! For more information on the New Zealand Working Holiday Visa, check out What is a Working Holiday Visa? or if you want to plan a trip to Australia, see Planning a Trip from New Zealand to Australia. Bangladesh, China, Hong Kong, Indonesia, Japan, South Korea, Malaysia, Philippines, Singapore, Taiwan, Thailand, Vietnam. Find out more about how you can kickstart a working holiday in Asia in Get Paid to Teach English in Asia! 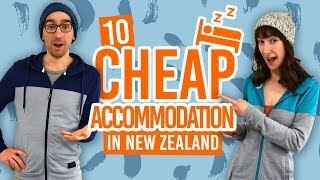 New Zealand Gap Year: Use a Working Holiday Program or Do It Yourself? What is the Cost of a Working Holiday in New Zealand?